On my second visit to Rogers Showroom - i saw this product. Rapid Charger with 3 in 1 Cable. It comes with 2.5 AMP, comes with a lighting system, no need to worry on low battery of your cellphone. A very small and useful product developed by ROGERS team. Thank you Rogers. Looking forward to buy more Products from Rogers team. On my second visit to Rogers Showroom - i saw this product. 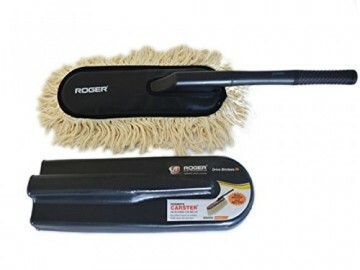 Roger Carster - Car Cleaning Duster - Rightly mentioned on Company's website - First impression is the last impression. Every car owner is worried on dust getting accumulated on your car, more pain in cleaning the same. You end up getting dirt on your clothes especially while cleaning the roof of the car.But this product from ROGERS solves all this concerns of a car owner. Cleaning was never a fun before this. PROS: It comes with a long plastic handle, easily wipes out all dust on your car in 2/3 minutes and you will think it is better than washing, since your car Shines post cleaning due to cotton bristles which is coated with wax. It not only cleans but also polishes the paint surface. No scratches on your windscreen glass which typically is a case with other dusters. Light weight and easy to use. Definitely worth every rupee spent. Cons : Can't use on wet Surface Overall Must buy for every car. Keep up Good work Rogers and thanks for solving our pain areas. Buying a four wheeler and maintaining your four wheeler are two different things. Later part is taken care by ROGERS Team. 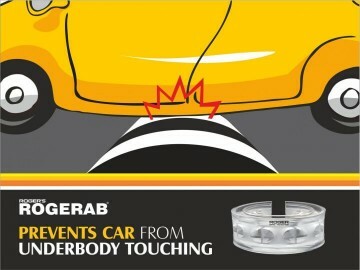 It not only helps you in maintaining your car but also ensures safety of passengers inside the car. I recently purchased my first Second Hand Car - Honda BRIO. After lot's of research, i finally visited Rogers Shop in Ahmedabad - Opp Alpha One Mall Entrance. To my surprise, i was wondering there are so much options/add on's which is required for every car, but people are hardly aware of those things. I made second visit to Rogers Showroom. Next in my list was RogerRab DUO for my CAR - Honda Brio, which is awesome Product. Before i move to review of this product, let me tell you this comes with a warranty of 24 Months / 1 Lakh KM which is absolutely amazing. This is mind-blowing innovative product invented by ROGERS team. Head's off to the inventor of this product. 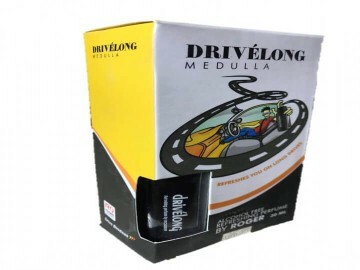 Why did i choose this product - Below are few reasons which prompted me to buy this product - It enhances Road Grip of Tyre, Suspension is improved, No more worries on speed breakers and potholes, no more jerks since i have back pain problem. Installation is pretty simple and done by ROGERS technician person in short time. Post installation , i felt a huge positive difference in my ride, IT became smooth ride and boosted more confidence while driving in speed and through speed breakers. Performance of my car improved drastically. Must buy for all car owners. Thank You Rogers for such a wonderful product. Buying a four wheeler and maintaining your four wheeler are two different things. Later part is taken care by ROGERS Team. It not only helps you in maintaining your car but also ensures safety of passengers inside the car. I recently purchased my first Second Hand Car - Honda BRIO. After lot's of research, i finally visited Rogers Shop in Ahmedabad - Opp Alpha One Mall Entrance. To my surprise, i was wondering there are so much options/add on's which is required for every car, but people are hardly aware of those things. 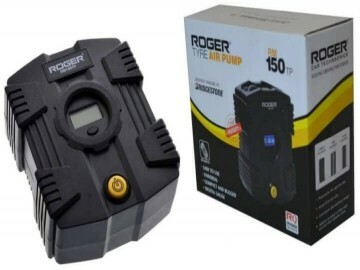 I made my first purchase with Tyre Air Pump RM 150TP - Easy to use and which definitely is a key support during emergency (Puncture/Low air..) Also i believe in all Petrol pump air pressure gauge will be different which could hamper your Tyre condition over a long run. 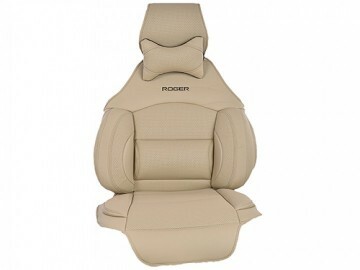 Now it is a peace of mind with this wonderful, compact and innovative product from ROGERS. This is a must buy for every Car owner, I bet you wont regret. Kudos to Rogers Team.